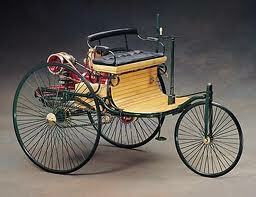 The next year Benz created the Motorwagen Model 2, which had several modifications, and in 1887, the definitive Model 3 with wooden wheels was introduced, showing at the Paris Expo the same year. Benz began to sell the vehicle making it the first commercially available automobile in history, then In Early 1888 another gear was added to The Motorwagen allowing it to climb hills. To generate publicity and demonstrate the feasibility of using the Benz Motorwagen for travel, Benz’s wife Bertha took her first long distance automobile trip from Mannheim to Pforzheim , using one of the vehicles.Having to locate pharmacies on the way to fuel up, and repairing various technical and mechanical problems during the journey, Including adding leather to the brake blocks to make them more effective thus inventing brake lining. She arrived at her destination and sent Karl Benz a Telgram announcing the fact & Today the event is considered world’s first long-distance journey by automobile.This event is celebrated every two years in Germany with an antique automobile rally called the Bertha Benz Memorial Route and is signposted from Mannheim via Heidelberg to Pforzheim (Black Forest) and back. Benz’s Model 3 made its debut at the 1889 World’s Fair in Paris. there was a great demand Benz’s vehicles and By 1899 Benz was the largest automobile company in the world. In 1893 Benz created a less expensive vehicle suitable for mass production – the Victoria. This was a two-passenger automobile with a 2.2 kW (3.0 hp) engine, which could reach the top speed of 18 km/h (11 mph) and had a pivotal front axle operated by a roller-chained tiller for steering. The Benz Velo also participated in the world’s first automobile race, the 1894 Paris to Rouen, where Émile Roger finished 14th, after covering the 127 km (79 mi) in 10 hours 01 minute at an average speed of 12.7 km/h (7.9 mph). In 1895, Benz designed the first truck in history, some of these were subsequently modified to become the first motor buses. The First flight of the de Havilland Mosquito took place 25 November 1940.The de Havilland DH.98 Mosquito was a British multi-role combat aircraft with a two-man crew that served during the Second World War and the postwar era. The Mosquito was one of the few operational front-line aircraft of the World War II era to be constructed almost entirely of wood and, as such, was nicknamed “The Wooden Wonder”The Mosquito was also known affectionately as the “Mossie” to its crewsOriginally conceived as an unarmed fast bomber, the Mosquito was adapted to many other roles during the air war, including low- to medium-altitude daytimetactical bomber, high-altitude night bomber, pathfinder, day or night fighter,fighter-bomber, intruder, maritime strike aircraft, and fast photo-reconnaissance aircraft. It was also used by the British Overseas Airways Corporation (BOAC) as a transport.When the Mosquito entered production in 1941, it was one of the fastest operational aircraft in the world. 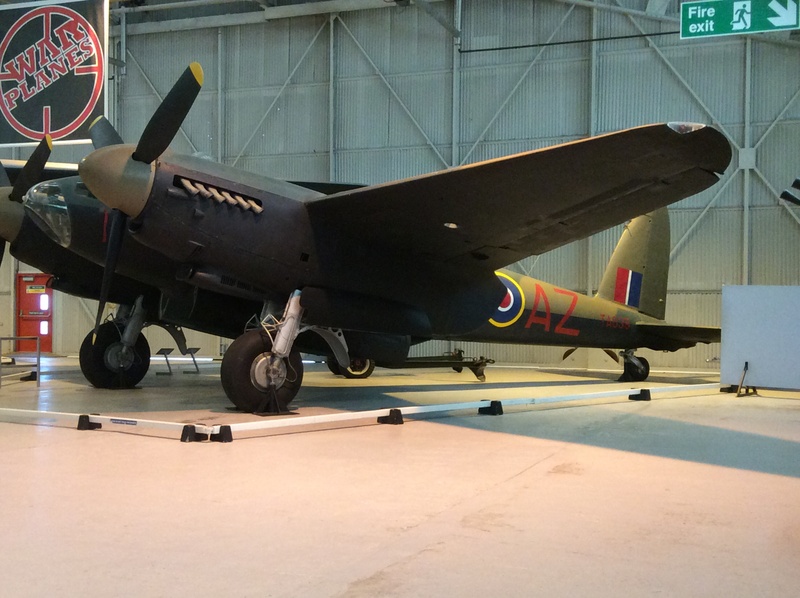 Entering widespread service in 1942, the Mosquito first operated as a high-speed, high-altitude photo-reconnaissance aircraft, and continued to operate in this role throughout the war. November 25 has been designated International Day for the Elimination of Violence Against Women by the United Nations General Assembly. The date marks the day when the Mirabal Sisters (Patria, Minerva,Maria &Dede) who were Dominican political dissidents and activists, were assassinated on 25th November 1960 for opposing the dictatorship of Dominican dictator Rafael Trujillo (1930–1961). Rafael Trujillo, was the country’s president from 1930 to 1938 and from 1942 to 1952, but ruled as a dictator from 1930 to his assassination in 1961. Minerva Mirabal studied law in order to earn a Law Degree and become a Lawyer, and became involved in the political movement against Rafael Trujillo after she was refused a licence to practice law because she declined Trujillo’s romantic advances.Her sisters followed suit, first Maria Teresa, who joined after staying with Minerva and learning about their activities, and then Patria, who joined after witnessing a massacre by some of Trujillo’s men . Dedé joined later, due to having been held back by her husband Jaimito, and they formed a group called the Movement of the Fourteenth of June (named after the date of the massacre Patria witnessed), to oppose the Trujillo regime. They distributed pamphlets about the many people whom Trujillo had killed, and obtained materials for guns and bombs to use when they finally openly revolted. Within the group, the Mirabals called themselves Las Mariposas (“The Butterflies”), after Minerva’s underground name. Minerva and Maria Teresa were incarcerated Amid mounting international opposition to Trujillo’s regime. Three of the sisters’ husbands (who were also involved in the underground activities) were incarcerated at La Victoria Penitentiary in Santo Domingo. Despite these setbacks, they persisted in fighting to end Trujillo’s leadership.In 1960, the Organization of American States condemned Trujillo’s actions and sent observers. Minerva and Maria Teresa were freed, but their husbands remained in prison.